In fact, the game seemed fairly difficult to me, but, in my defense, I was involved in a conversation with Neocore's Orsolya Tóth about the game's finer features the entire time I was playing it. Then again, she was reaching over me and hotkeying healing potions to keep me alive as well. I eventually found a rhythm to the combat, though, as Orsolya explained the unique weaknesses of each enemy type to me and I was able to exploit this knowledge to my full advantage. It's definitely a game that rewards experimentation and knowing a good deal about your enemies. Now, the skills I mentioned above are able to be enhanced as you play the game, and I was told that most skills in the game can be leveled up to 5. Additionally, leveling up will grant you Ability Points, which you can apply to Body, Dexterity, Willpower, or Luck, and Skill Points, which you'll apply to a skill tree. Now, even though it was sort of awkward to have a second person hitting hotkeys for me, I can definitely see how this game would be a ton of fun with multiple players. 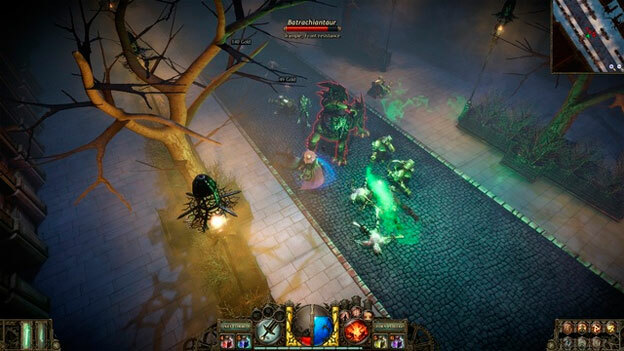 To that end, The Incredible Adventures of Van Helsing will include four-player online co-op. The Incredible Adventures of Van Helsing is a unique steampunkish take on the action RPG, and fans of vampire hunting should definitely be adding this to their list of anticipated games. Expect the full game to land at some point before the end of this year. The Incredible Adventures of Van Helsing is an Action RPG filled with fierce and demonic battles, memorable characters, and a refreshingly unique story that brings the legendary vampire slayer to modern audiences. The upcoming title, loosely based on Bram Stoker's classic novel Dracula, is being developed for PC and Xbox LIVE Arcade for the Xbox 360 video game and entertainment system from Microsoft. 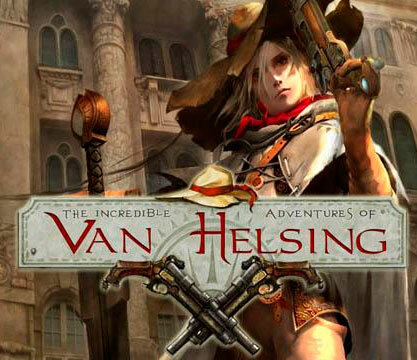 Set in a gothic-noir universe resembling a fantastical 19th century Europe filled with monsters, magic, and weird technology, The Incredible Adventures of Van Helsing will follow the son of the famed hunter, known in-game as Van Helsing, in a tale wrought with wry humor and snappy dialogue.